We are pleased to announce that we will be hosting our first Israel Cancer Research Fund event for 2018. Please join us for brunch at the Hamptons Clubhouse on March 25th. Join us and experience Neil Sedaka in concert. Tickets include parking, open bar and carving station before the event and post-show coffee and cake. 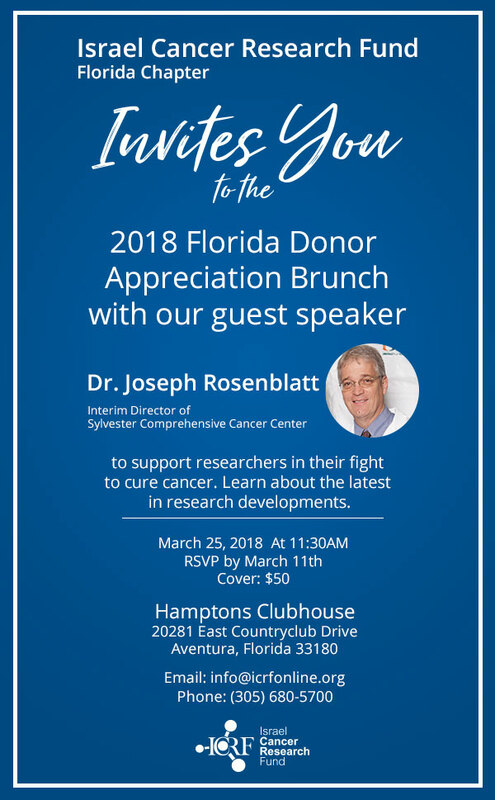 For information, please contact Joel Silberman at 954-471-1800 or joel.silberman@icrfonline.org. Join us for a fun evening with plenty of laughs with the inimitable Jackie Mason. For tickets and information, please call Andrea Rafofsky at 9564-989-6972 or Joel Silberman at 954-471-1800.